TWO 80-YEAR-old ladies whose bags were stolen by the same man in separate incidents in Dublin have been praised for their “high levels of resilience” by a judge. Brian Dunne (33) was sentenced to four and a half years in prison for the offences, which were described as “particularly reprehensible” as they involved elderly victims. The court heard that one woman’s shoulder was broken in two places when she fell to the ground as Dunne grabbed her bag. She was hospitalised for six days and had to miss out on performing in the musical My Fair Lady at Dublin’s National Concert Hall the following week. Dunne, of George Reynold’s House, Ringsend, Dublin, pleaded guilty at Dublin Circuit Criminal Court to one count of robbery and one of theft, committed in the same week of November last year in Sandymount. Passing sentence today/yesterday (WED), Judge Martin Nolan said both incidents were very serious and distressing for the ladies involved. However, he praised the women for their “high levels of resilience” and for getting on with their lives in the wake of the incidents. Garda Daragh Lynch told Lorcan Staines BL, prosecuting, that the first robbery took place on 10 November last, at a bus stop off Strand Road in Sandymount. Glynnis Cassin told gardaí she had been waiting in the rain to catch a bus into town to attend a rehearsal for the musical she was due to perform in, when a young man approached, whom she assumed was seeking shelter. She made a phone call and then felt the man trying to grab the bag from her shoulder. She got a terrible fright and screamed loudly “No, no!” but decided she wasn’t letting go. The man pulled at her bag and Cassin fell to the ground, hitting her face, and felt pain in her whole body and extremely sore in her shoulder. Two women appeared and helped Cassin, who was taken by ambulance to St James’ Hospital, where she was treated for a shoulder that was dislocated and broken in two places. There was a lot of bruising to her face and a cut on her eyelid and eye. In a victim impact statement, Cassin said her economic loss was approximately €800 in medical fees and that she had been very upset that she couldn’t take part in the musical. She said she no longer felt safe in her own neighbourhood and would never use that bus stop again. The court heard that the second incident took place on 14 November last, after 80-year-old Anne O’Rourke had gone to the cinema at the IFI in Temple Bar. O’Rourke told gardaí that she is deaf in one ear and left the film early, taking the DART home to Sandymount. As she walked along Wilfield Road she felt a pulling at her shoulder as a man grabbed her shopping bag and then cycled away with it. “I wasn’t even shocked, I was angry,” said O’Rourke, who said she still gets “occasional flashbacks” and avoids that particular area. In a victim impact statement, O’Rourke said she was able to feel “some sympathy” for the offender whom she assumed was a drug addict, and she expressed the hope that he would get the support and treatment he needed in prison. “I sincerely hope he’ll be rehabilitated and go on to live a rewarding life,” ended O’Rourke’s statement. Dunne was arrested on foot of CCTV footage and made full admissions, telling gardaí he was addicted to drink, drugs and gambling. He said he took sleeping tablets, cocaine and alcohol nearly every day and gambled every penny he had, adding that he owed €1,000 and had been threatened to pay it back. He apologised to both women and said it was a spur-of-the-moment thing that he should never have done. “I don’t know what came over me; if I could turn back the clock, I would,” said Dunne. Dunne has 54 previous convictions including 14 for theft, seven for criminal damage and others for assault, drugs offences, burglary and possession of knives. The court heard he had been on bail for nine offences at the time of these robberies. Mark Murphy BL, defending, said his client felt “sick” and “disgusted” with himself when thinking about these incidents. He said Dunne had written two letters of apology to the victims expressing genuine remorse and insight, which Gda Lynch agreed had given some comfort to the women. Murphy said Dunne had held a stable job in the past as a cleaner in Connolly Station, but that the first anniversary of his mother’s death at the time of the offences had knocked him back into his old ways. The court heard Dunne went cold turkey since he went into custody last November and was now drug-free. 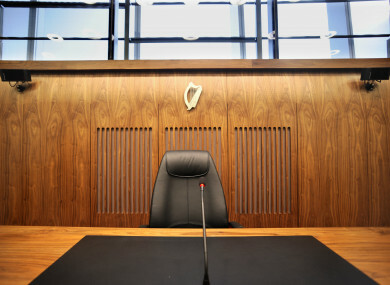 Gda Lynch agreed with counsel for the defence that Dunne’s previous theft offences had tended to involve property and not persons, and that these offences were “somewhat out of character”. Email “Judge praises the resilience of two 80-year-old victims whose handbags were robbed by same thief”. Feedback on “Judge praises the resilience of two 80-year-old victims whose handbags were robbed by same thief”.